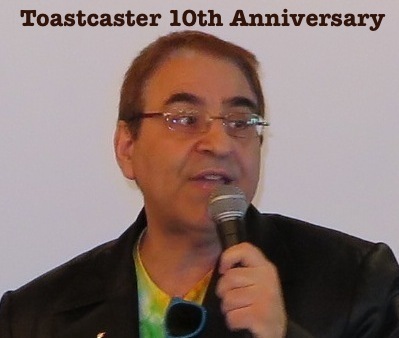 [19:26] Toastcaster Podcast is celebrating its 10th Anniversary. In this episode Greg grabs the mic and takes an impromptu journey back a decade to its humble beginnings starting from the pilot episode featuring then District 42 Governor Mona Cooley, DTM. What started as an idea in 2006 for an HPL (High Performance Leadership) project has blossomed into 77 episodes, almost 200K downloads and 1.5M feed hits and counting. You'll hear how Toastcaster was conceived and get highlights from a number of the episodes and some of the people Greg has interviewed. Greg will also share what he's learned from this process and how it's changed him and how he now looks at podcasting. A huge thanks to all those that helped make it happen and for all the listeners for tuning in.